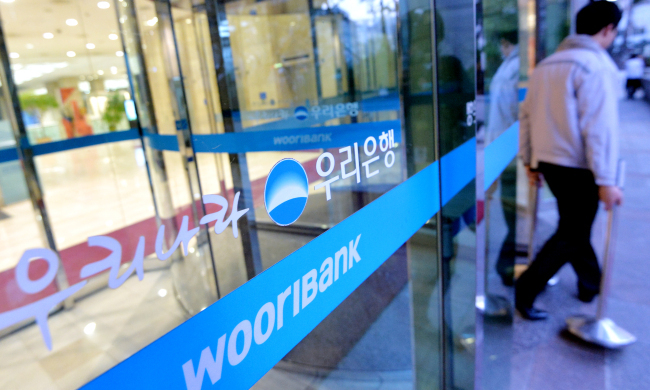 Woori Bank, one of South Korea’s major commercial banks, said Friday that it has sold 2.7 percent of its stake in Woori Financial Holdings to foreign institutional investors in a block deal during off-trading hours. The bank has sold 18,346,782 shares to FIIs. As a result, Woori Financial Holdings’ stake ownership by foreign investors has increased from 27.5 percent -- as of Feb. 13, the day of its public listing -- to 30.2 percent. According to the bank, the block sale attracted high interest from FIIs worldwide, including in the US (57.4 percent), Asia (30.9 percent) and Europe (11.7 percent). Shares worth some $750 million were booked, which is more than three times the maximum offered amount, it said. The company said the market’s positive response reflects growing anticipation for Woori Financial and its valuation hike as it continues to expand its nonbanking business segment. In addition, the block deal removes overhang issues that have been weighing down the stock price of Woori Financial, it said, predicting an upward shift in the holding company’s share price in the future. Woori Bank’s latest stock sale has raised its BIS capital adequacy ratio by 18 basis points, and that of Woori Financial Holdings by 10 basis points. The capital adequacy ratio is a measurement of a bank’s capital in relation to its risk-weighted assets.